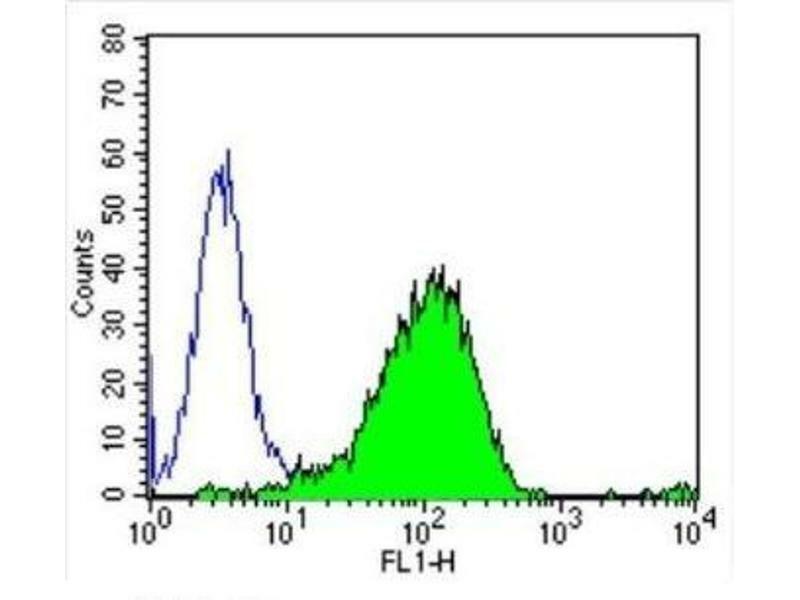 Flow Cytometry: DPPIV/CD26 Antibody (236.3) [NBP2-22434] - Analysis of CD26 in PC12 cells (green) compared to an isotype control (blue). 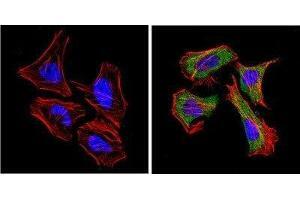 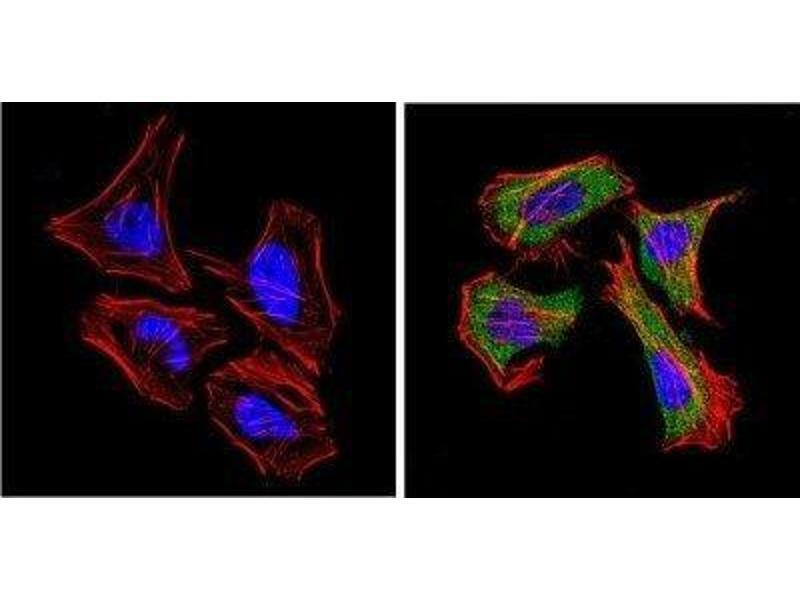 Immunocytochemistry/Immunofluorescence: DPPIV/CD26 Antibody (236.3) [NBP2-22434] - Analysis of CD26 (green) showing positive staining in the cytoplasm of Hela cells (right) compared with a negative control in the absence of primary antibody (left). 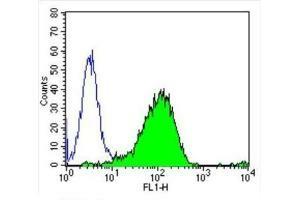 Flow Cytometry: DPPIV/CD26 Antibody (236.3) [NBP2-22434] - Analysis of CD26 in H-4-II-E cells (green) compared to an isotype control (blue). 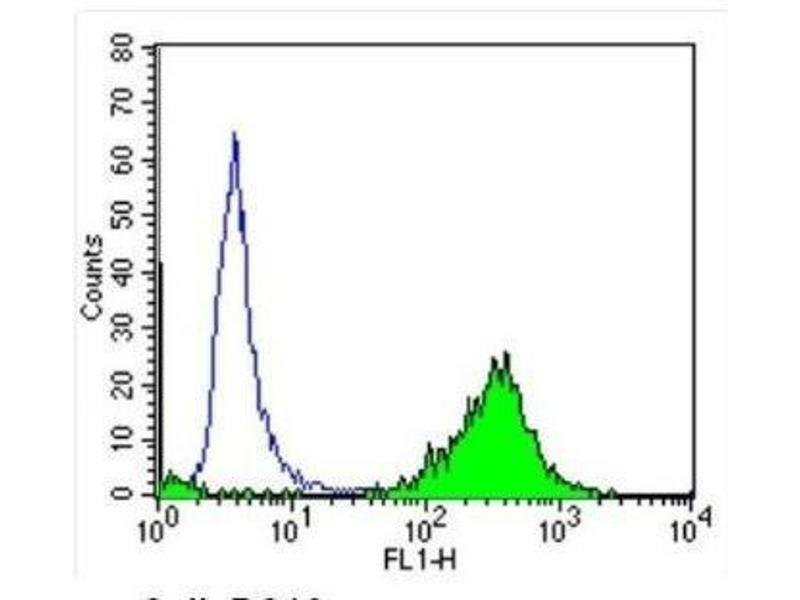 Immunocytochemistry/Immunofluorescence: DPPIV/CD26 Antibody (236.3) [NBP2-22434] - Analysis of CD26 (green) showing positive staining in the cytoplasm of H-4-II-E cells (right) compared with a negative control in the absence of primary antibody (left). 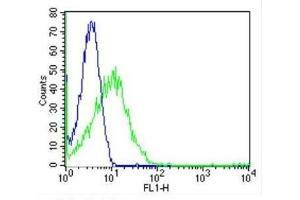 Flow Cytometry: DPPIV/CD26 Antibody (236.3) [NBP2-22434] - Analysis of CD26 in Hela cells (green) compared to an isotype control (blue). 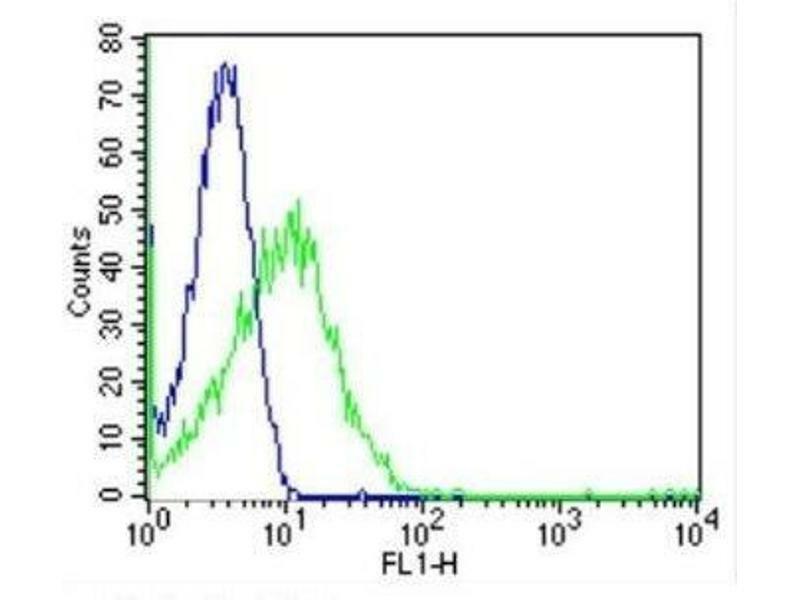 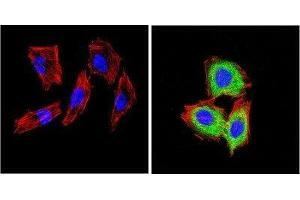 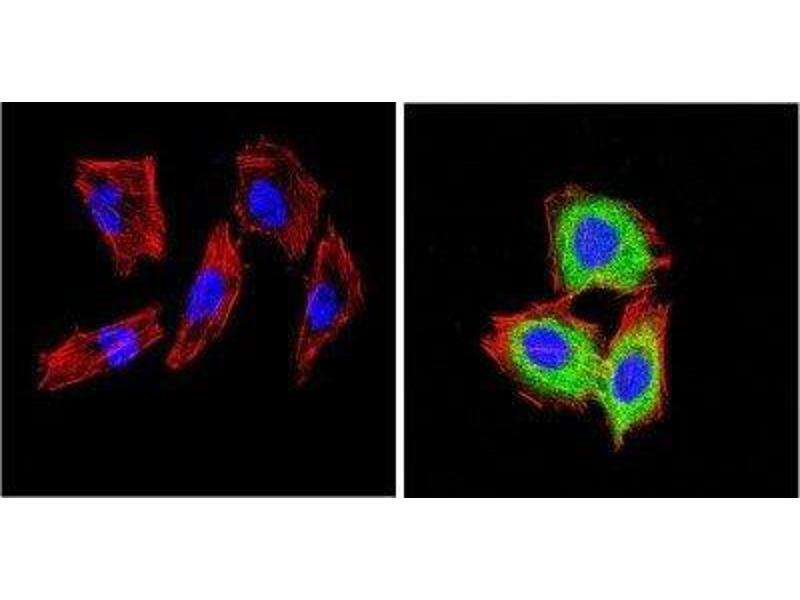 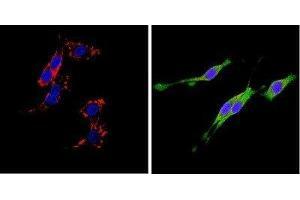 Immunocytochemistry/Immunofluorescence: DPPIV/CD26 Antibody (236.3) [NBP2-22434] - Analysis of CD26 (green) showing positive staining in the cytoplasm of PC12 cells (right) compared with a negative control in the absence of primary antibody (left). 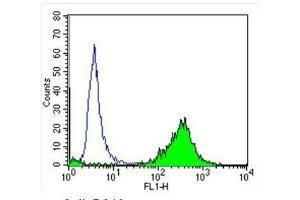 Immunogen Rat 110-120 kD single chain glycoprotein Depeptidyl Peptidase IV (CD26).